Christmas Carols have been a part of Christmas celebrations for hundreds of years. The History of Christmas Carols starts with the tradition of singing at churches (as hymns) and has become more widespread and popular among the masses. There is a distinct difference between a “Christmas carol” and a “Christmas song”. Christmas carols can often be sung by a choir and usually have simple and straightforward rhythms. This is rarely the case for pop and rock songs, which often have more complex compositions. Why are they called Christmas Carols? The most fantastic explanation of the term, “Christmas carol”, originates from England. According to this English story, a young girl named Carol got lost in the streets of London on a cold winter night. In an attempt to find her, her friends went from house to house similar to the way we do during Christmas. After this episode, the term “Christmas carol” became widespread. The more pragmatic explanation is that the word, “Carol”, comes from the Greek dance, “Choraulein”, which is accompanied by flutes. Later, the Frenchmen replaced the flutes with singing and named it, “caroller”, which means, “to dance around in a circle”. The tradition of singing carols can be traced back to the monk, St. Francis of Assisi. He introduced the singing of carols in church ceremonies. Today, each country has its own traditions in connection with the history of Christmas carols. In many places, people walk from house to house and sing at Xmas time; in other places, Christmas carols are sung in church. As you can see from the listings with dates below, the History of Christmas Carols is an old one, as these traditional Christmas Carols have existed for hundreds of years. Some of the same carols we sing today started out in their Latin forms as far back as the 16th Century! Text by Isaac Watts 1719, music assumed to be Handel. The first song to be sung on Christmas Eve in a church, 1818. A Welsh Carol that dates back to 1862. Music derived from a 16th Century folk tune, Lyrics from 1824. In keeping with the distinction between Christmas Carols and Christmas Songs, we consider the following to be modern carols; likely to be sung by a chorus, carolers or wassailers. 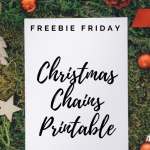 Every one of the songs above is included in our Free Printable Lyric Sheets, which you can download below! Today, Christmas Carols are sung both in church and in secular Christmas festivities. 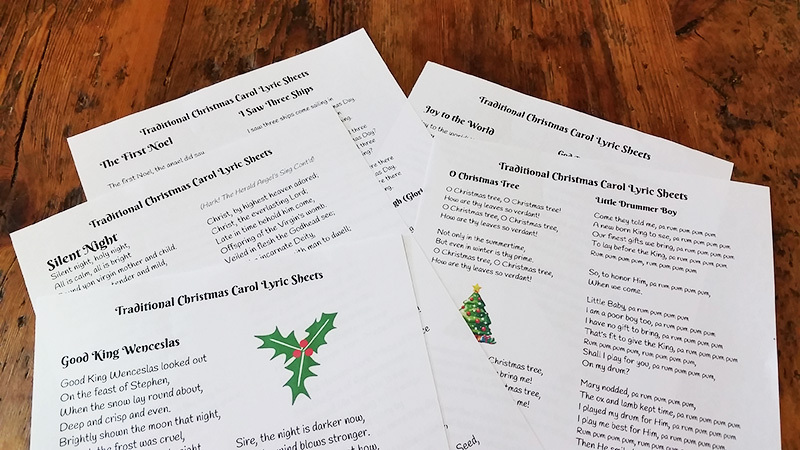 Christmas Carols can be sung at home, or door-to-door in the traditional manner. You can also hire Christma Carollers for special parties and occasions. Some of the best Christmas albums are a compilation of Carols and Songs, not just these traditional Christmas Carols. Do you have anything to add about the history of Christmas Carols? Why not join the discussion in our Forum, or by commenting below?